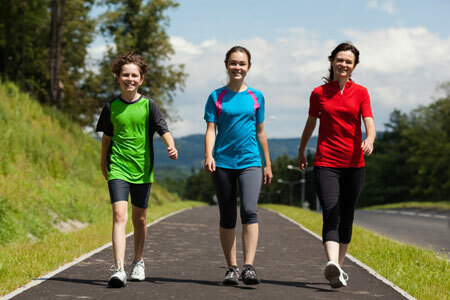 Walking has become more popular than ever before as an inexpensive and easy way to maintain fitness for people of all ages. Walking requires no expensive equipment and you can do it just about anywhere. Whether you enjoy walking in the woods, on the city streets, through the mall or on the treadmill, investing in the proper shoes can make a world of difference. At Flying Feet, we offer walking shoes for every fitness level. Whether you're rehabbing from an injury, want to increase your overall fitness or just enjoy a relaxing form of exercise with many health benefits, our experienced staff can find the best walking shoes for your needs. Visit our store for a great selection of walking shoes and let our staff find the right fit for your needs. We also offer a great selection of equipment and apparel for cold weather walking, tracking your steps or mapping out new trails to follow. Need walking shoes for work? Check out our great selection of walking shoes designed for nurses, service professionals, delivery personnel or anyone that stands or walks all day long. Need additional support? We carry a great selection of arch supports, insoles and orthotics products to make walking more comfortable. See our sports medicine page for details!